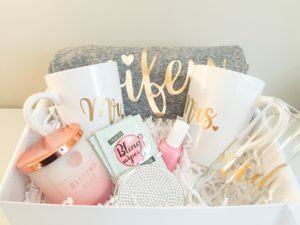 From Miss to Mrs, from just being your friend to somebody’s wife, this bride-to-be is going through a phase which is considered to be the most important one, in anyone’s life. It’s a phase that reminds her to maintain herself for she needs to fit in the designer Lehenga, to shop continuously for months and bagging up unique jewelry sets and outfits for the perfect wedding look. However, you can be the fresh air that reminds her to brush away the clouds of commotion and keep moving forward in her amazing stilettos. And to do so, you need to surprise her with moments so as to release out her stress before the day, when she finally says her vows with a ‘Yes’. With the following ways, you can give her the perfect gift and make countless memories at the same time. She’s shopping every day taking care of the wedding preparations, and on top of that, she’s sleeping late every night. Gift her a spa coupon to a reputed salon and give her a soulful trip which would rejuvenate her and help her in getting rid of under those under eye bags and dark circles. There’s no better therapy than a laughter therapy. Make her laugh till her stomach hurts by gifting her a comic book related to a bride theme. You can search online or find at a bookstore and gift books like ‘Weddiculous’ which is a comic unfiltered guide to being a bride. How about a bridal shower party with loads and loads of roses, carnations and mixed flowers? You can make her bloom in happiness by shopping online an attractive bouquet and flower basket. Flowers hold a captivating power that spreads love and peace as each of its petals is infused with warm feelings. She’s working out a lot lately, following diet routines strictly, you can give her a break by ordering her a bridal shower cake. A designer cake would take care of her and help her relish creamy layers of her favorite flavor cloaked under the beautiful design. You know her inside-out, you know the devil that lies behind these angels eyes, the darkest secrets she carries, basically, you know everything about her. Then, you must be aware of the Love and she wanted to visit with her better half. Go overboard and book tickets and struck with an OMG moment. She is trying out outfits every day, shopping ethnic wears every weekend and ticking off things off her checklist. You can help her by taking her to a shopping mall and purchase gorgeous lingerie sets for the adventurous journey she is all set to embark upon. Set the date and gather all the party favors to throw an amazing bachelorette party. You can browse the internet to book a fine place to dine, drink and have fun. Make her days special and let her breath afresh with these fun gifts that will dazzle her with your thoughtfulness One last tip, note down your favorite and start planning right away.